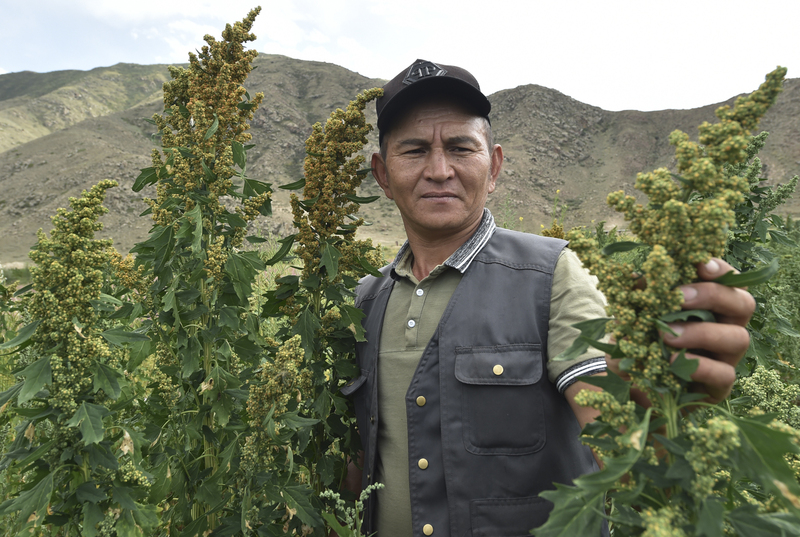 Getting Kyrgyz-grown quinoa onto the international market is proving tough. Azamat Kaseyev, 44, got his first batch of quinoa seeds – the South American strains of Regalona and Titicaca – in 2012. The results have been impressive. "The yield of this crop is quite high – if you sow 2.5 kilograms [of seeds] across one hectare [10,000 square meters], it yields one to three tons of quinoa,” Kaseyev told Eurasianet. Kaseyev’s efforts at the moment are on adapting the grain to local conditions and testing the crop in all of Kyrgyzstan’s regions. Quinoa has flourished most in the highlands and under certain temperature conditions. The plant likes heat in the daytime and cold at night. 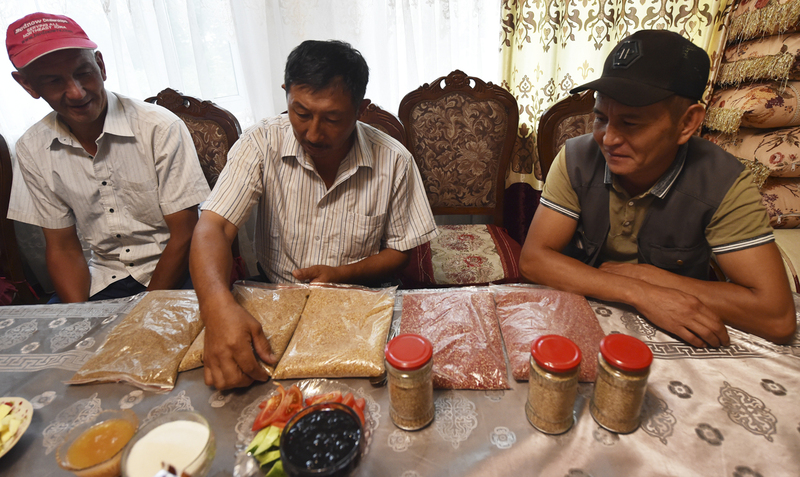 Central Asian farmers are tapping into a global craze. If only eight countries were cultivating quinoa in 1980, that figure had risen to 75 by 2014. Twenty additional countries began sowing quinoa in 2015 alone. For all that, around four-fifths of global output is still accounted for by the plant’s native lands, Bolivia and Peru. “We had a good harvest in previous years, so I increased my sowing area. But unfortunately, agriculture in Kyrgyzstan is a risky business. Because of the hot summer, this was not a very good harvest,” Uraimov said. Doing that will mean overcoming considerable bureaucratic hurdles though. Even if the local government were in a position to issue certificates of origin and quality for Uraimov’s quinoa, these would likely prove insufficient for the European market. Instead, Uraimov will have to summon a sanitary expert from Europe or Turkey, which could cost anywhere from $3,300. “For one farmer, that is of course an insurmountable amount, but if all us farmers chip in, we could do it,” he said. “We have just introduced scientists and teachers from the Agrarian University and employees at the Agriculture Ministry to this culture, but there has been little interest so far,” said Mambetov, of the FAO. Kyrgyzstan’s unsettled political scene is blamed for this lassitude. “The annual change of prime minister, and with him the minister of agriculture, leads to very low efficiency levels. We have not had one minister of agriculture who has been in place for more than 12 months. I don’t even try to remember their names,” said Aziza Yuldasheva, head of the Zher Azygy agriculture industry lobby group. “They charge quite a lot as they know they do not have competition on the domestic market. And it is a major disadvantage that they have not learned to grind and process the grains, which are bitter as a result,” he said. Leila Saralayeva is a Bishkek-based reporter.